As any well-traveled person will tell you, there’s more to the world than just the top destinations everyone else is going to. When planning the perfect family vacation, however, most people tend to go the Disney route instead of thinking outside the box. As wonderful as Disney Parks are, they’re a bit overdone, overpriced, tough to plan, and avoiding stress on a Disney vacation can be quite the challenge. 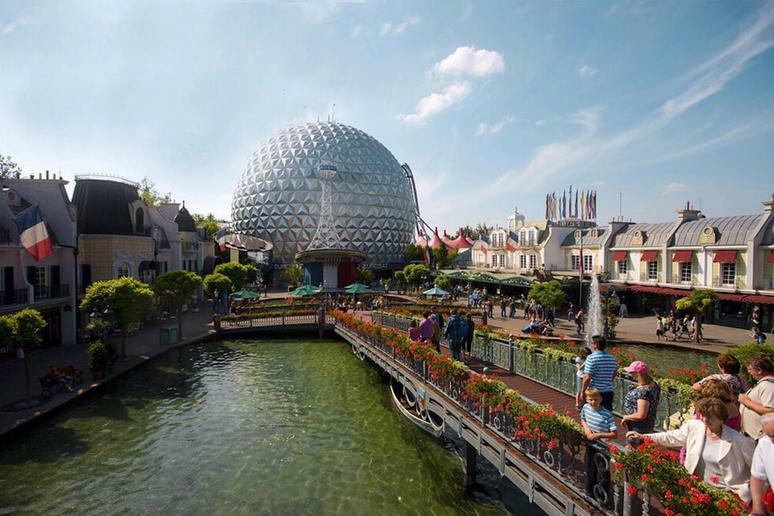 While the house of the Mouse has often been lauded as “The Happiest Place on Earth,” we still think there’s plenty of happiness to be found at other attractions around the world. 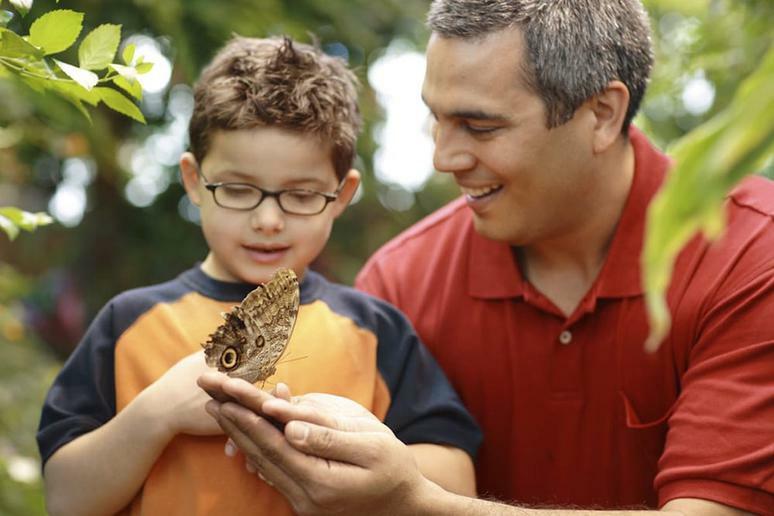 In order to help those looking for something new that will still delight the young ones and keep older family members satisfied, we took to looking at the most popular family-friendly attractions around the world. Most of them, predictably, are bucket list amusement parks, but we also found that there are museums and learning centers which can engage and enrich the whole family with a big dose of fun. Full of thrilling rides, amusing characters, creative activities, and sometimes live performances that get the party started, these non-Disney spots are some of the happiest places on Earth. 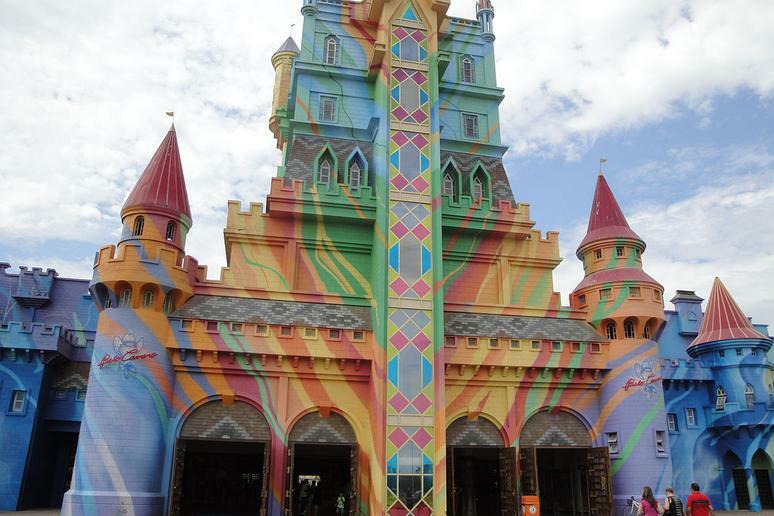 With nine theme areas that make up over eight and a half square miles, Beto Carrero World is the largest theme park in Latin America and just one of many thrilling adventures in Brazil. Brazilian businessman and entertainer Beto Carrero opened it in 1991, and in 2012, it partnered with Universal Studios and DreamWorks Animation to bring guests some of their most beloved characters. Throughout the park, you’ll also find multiple shows to entertain the whole family. There are two parks named Busch Gardens, both on the east coast of the United States and each with a specific continental theme. At Busch Gardens Tampa Bay, one of the most underrated tourist spots in the state, you’ll find yourself in a world meant to represent Africa and its wonders with specific themed areas: Morocco, Sesame Street Safari of Fun, Stanleyville, Congo, Jungala, Pantopia, Nairobi, Edge of Africa, and Egypt. Each area is themed around a concept or specific country and its culture with rides, food vendors, and other attractions. 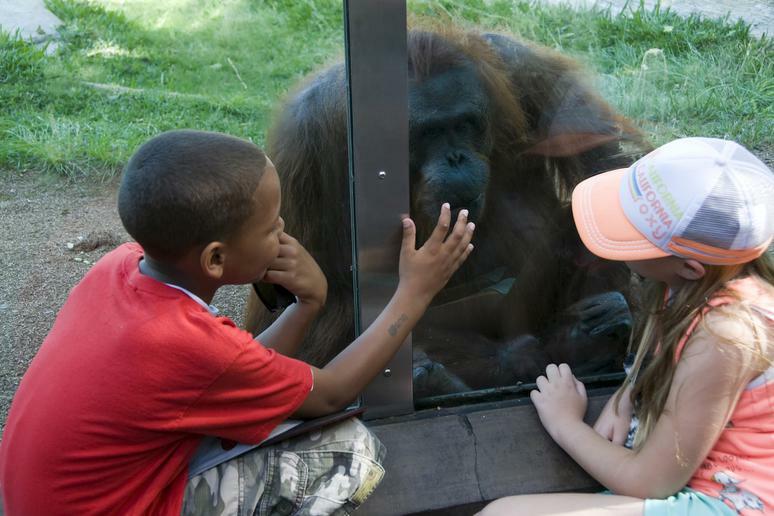 The park is also one of the largest zoos in America, having more than 2,700 animals across 335 acres. Busch Gardens Tampa Bay has a European theme and is separated into ten different “villages”: Banbury Cross (meant to represent England), Heatherdowns (Scotland), Killarney (Ireland), San Marco (Italy), Festa Italia (Italy,) Rhinefeld (Rhineland Germany), Oktoberfest (Bavarian Germany), Aquitaine (France), and New France (French Canada), as well as the small children-friendly Sesame Street Forest of Fun. 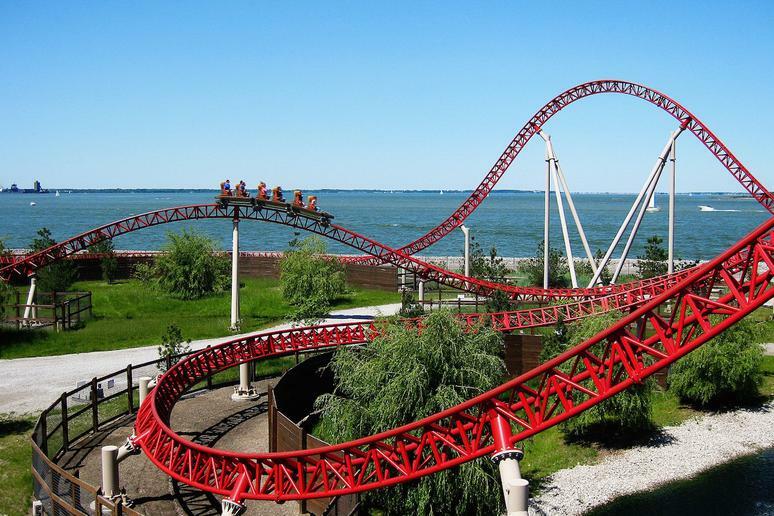 One of the oldest amusement parks in the United States, Cedar Point has 72 rides, 17 of which are roller coasters and has consistently ranked as one of the best amusement parks in the United States. Not only does Cedar Point have more rides than nearly every other park but its lineup is famous amongst enthusiasts with renowned rides such as Millennium Force, Maverick, and Top Thrill Dragster. 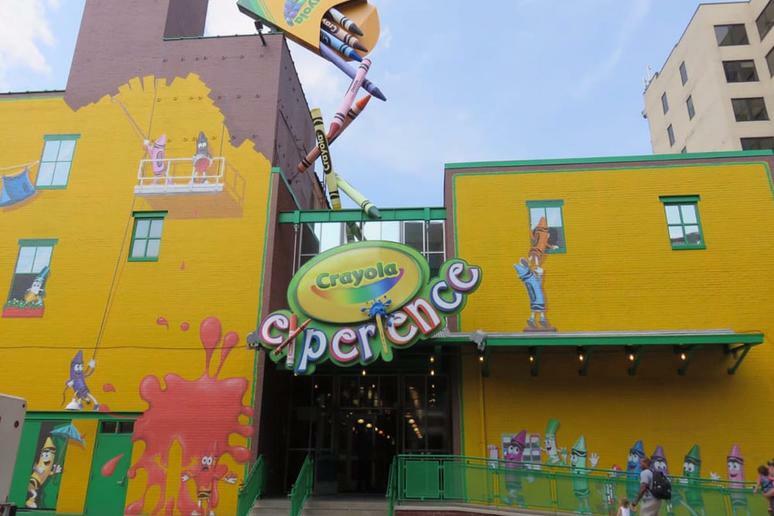 There are multiple Crayola Experiences in the United States, but the first and best is the one located in Easton, Pennsylvania as a museum and attraction celebrating the history and crayons of Crayola. Witness how crayons are molded from hot wax and create your own art using Crayola products before visiting the world’s largest crayon, a 15-foot-long blue crayon that weighs 1,500 pounds and was molded from “leftolas” mailed in from around the world. Catered to people of all ages, Efteling is a fantasy-themed amusement park located in the Netherlands in which the rides and attractions center around fairy tales, folklore, and legends. 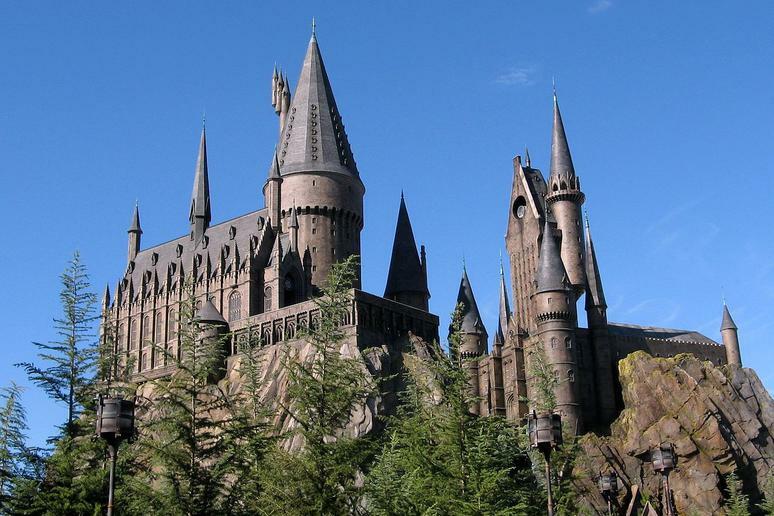 One of the oldest theme parks in the world, it has more than five million guests every year. 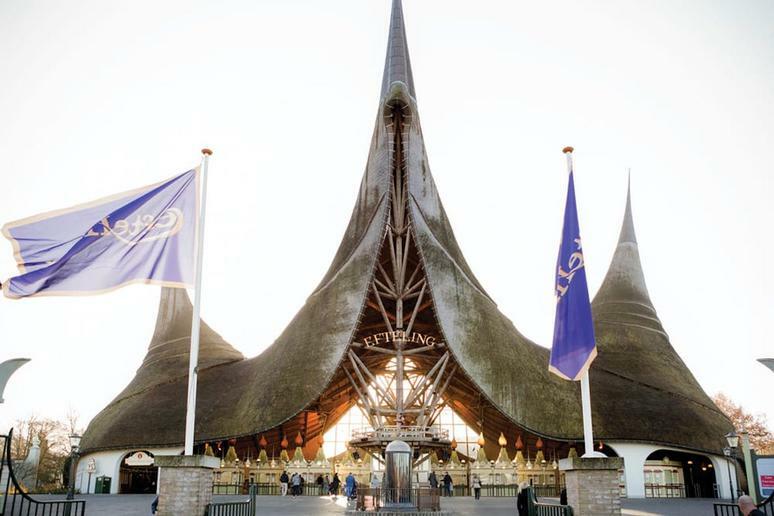 It was the third most-visited theme park in Europe in 2017 and has about 35 rides, but the best part is its oldest attraction, Sprookjesbos, or Fairytale Forest. Made up of multiple, wonderfully detailed walkthrough scenes from various famous fairy tales, it’s an experience that young children will absolutely love and even adults can appreciate. 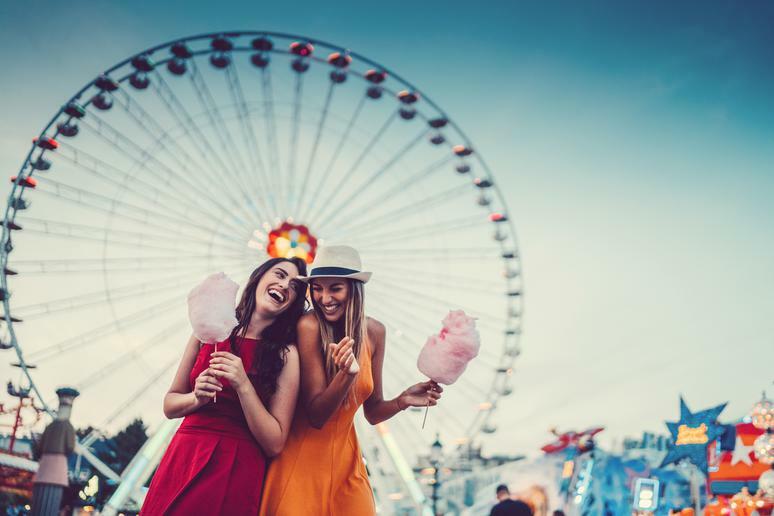 The largest theme park in Germany and the second most popular in Europe after Disneyland Paris, Europa-Park has 72 rides, 13 of which are roller coasters. The park also includes five themed hotels and dozens of restaurants, including one with a two Michelin-star rating. Twelve different European countries are represented in the 200 acres of the park, which showcases their different art forms, culture, food, architecture, and more. 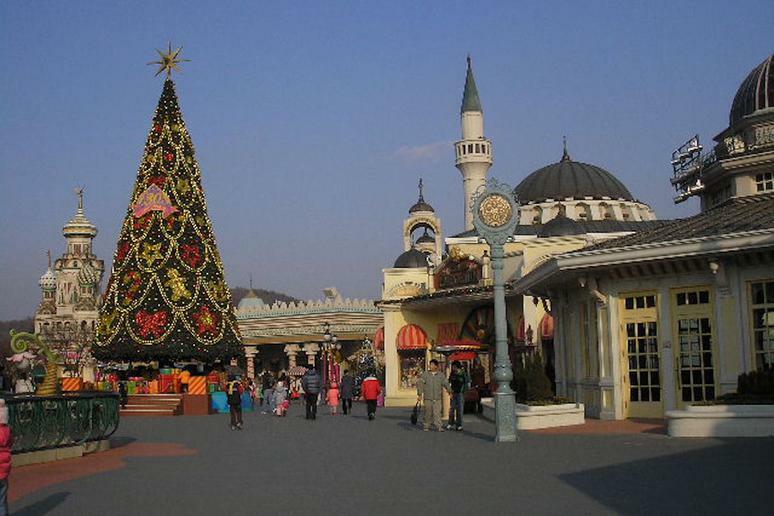 South Korea’s answer to Disney World, Everland has five areas: Global Fair, ZooTopia, European Adventure, Magic Land, and American Adventure. 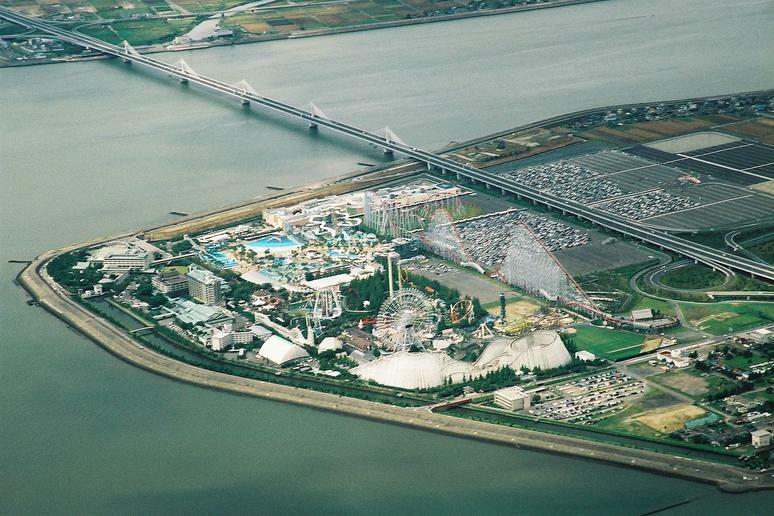 It’s the largest theme park in the country, and also has a zoo and a water park. Come between March and April, and you can catch the Tulip Festival during which the park turns into a magical spring wonderland with beautiful décor, performances, and parades. The “Sweetest Place on Earth” should be at the top of the bucket list for every American chocolate lover. The hometown of Milton S. Hershey, then named Derry Church before it was renamed after him, it was in Hershey that the chocolatier built a chocolate plant for his growing business. 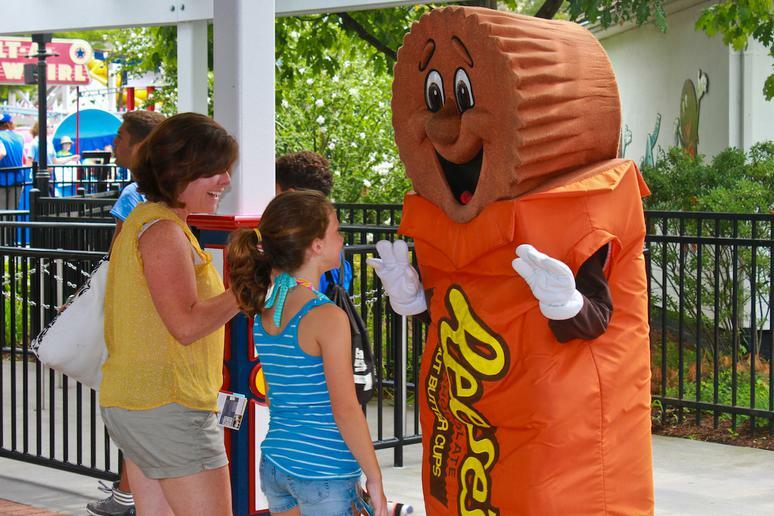 Today, visitors from all over the world come to the popular and family-friendly Hersheypark, an amusement park full of rides, shows, and shops of everything Hershey chocolate. Hershey’s Chocolate World is also a major draw, where you can get a free tour of how the confectionaries are made in addition to other chocolate-related exhibits. 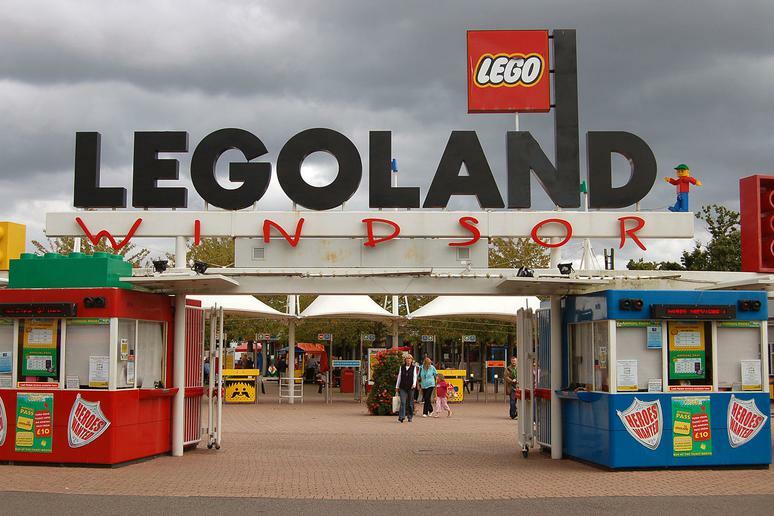 There are many Legolands around the world, but the biggest and possibly most epic of them all is Legoland Windsor in southern England. 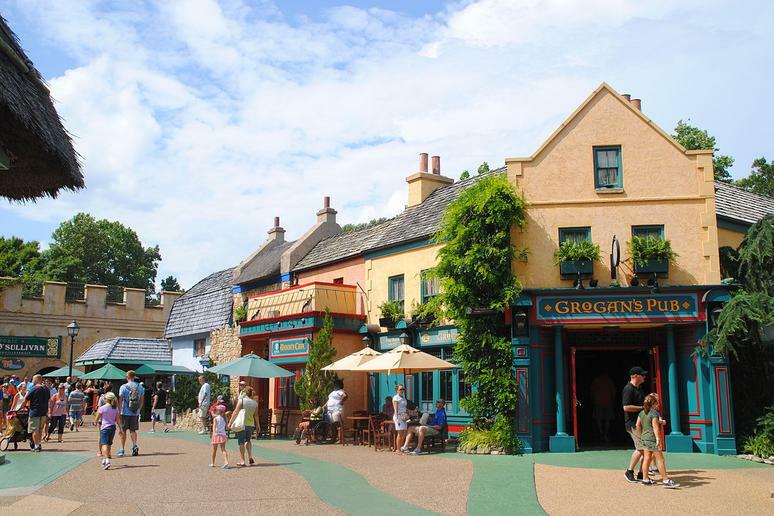 This park and resort is full of Lego-themed rides, fun building workshops, and impressive models, and while it’s mainly targeted at children between the ages of three and twelve, any and all Lego lovers are sure to enjoy the most visited theme park in the United Kingdom. 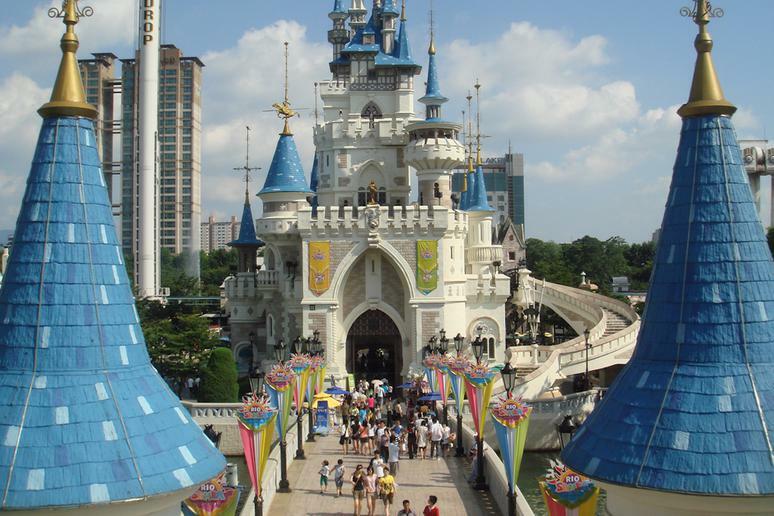 Located in the fun-filled city of Seoul, Lotte World is a must-see. Not only will you find the world’s largest indoor theme park here, but it’s also home to an outdoor amusement park, shopping malls, an artificial island accessible by monorail, a folk museum, sports facilities, movie theaters, and luxury hotel. Meet the park’s mascots, Lotty and Lorry, and enjoy the elaborate shows regularly put on by the park as well. Located in northern Japan, Nagashima Spa Land has all sorts of rides including roller coasters and an adjoining water park, as well as a shopping mall and hot spring baths. Located along the coast, you’ll get amazing views if you ride the Aurora Wheel, a Ferris wheel that’s nearly 300 feet tall. 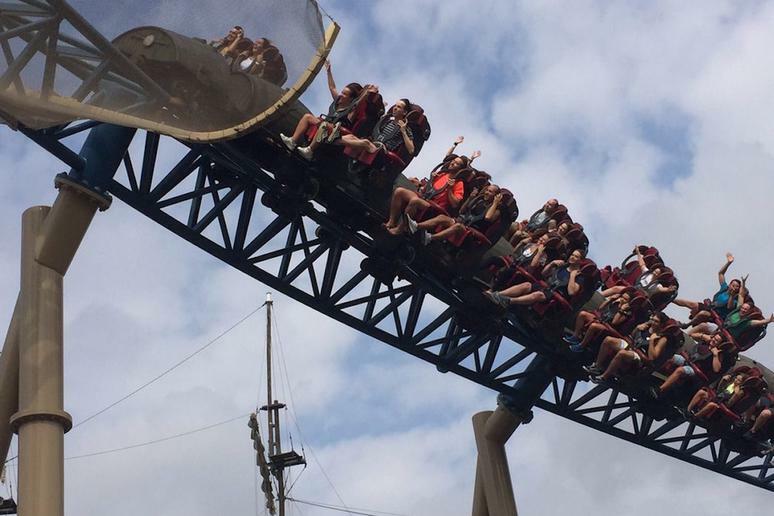 If you’re daring, you’ll enjoy the Steel Dragon 2000, a roller coaster that reaches up to 318 feet and has a top speed of 95 miles per hour, making it one of the scariest and most thrilling roller coasters in the world. 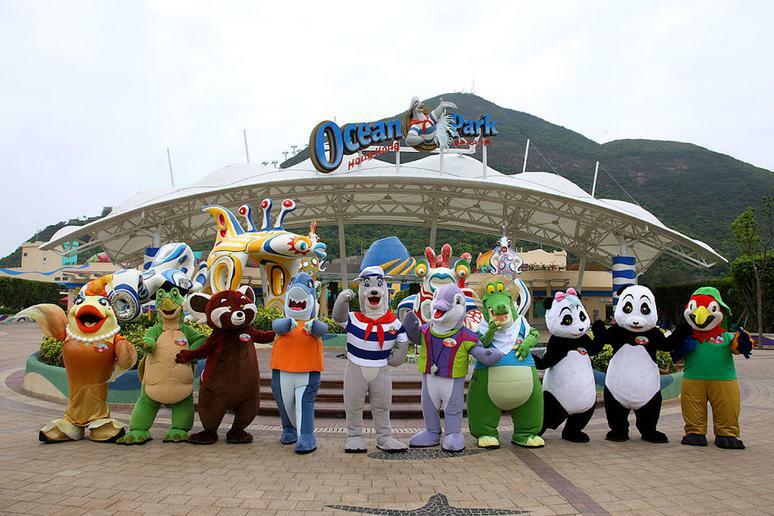 One of the world’s most popular amusement parks, Hong Kong’s Ocean Park is a marine mammal park, animal theme park, and amusement park that covers over 220 acres. Ride roller coasters, visit the giant pandas, and see the world’s largest aquarium dome. In addition to providing guests with a ton of fun, Ocean Park’s goal is also conservation advocacy although it has been criticized for its practices of wildlife capture and animal performances. 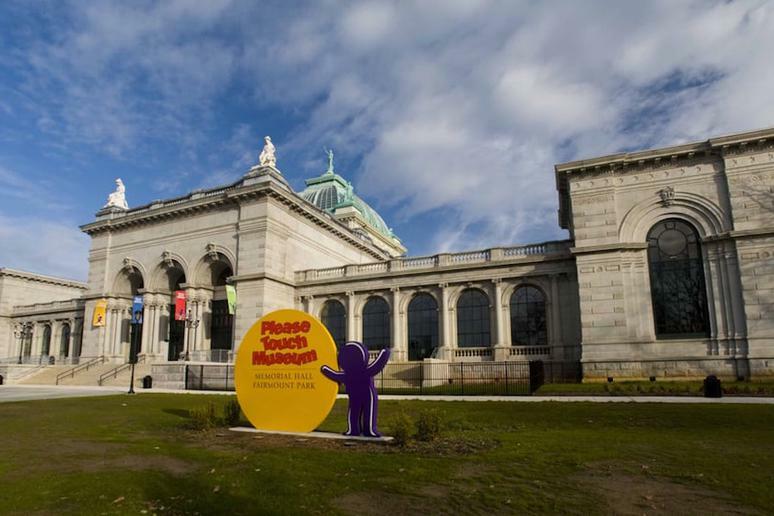 Meant for children ages seven and under, Philadelphia’s Please Touch Museum may seem like a strange museum but it’s great for encouraging children to learn through touch and play. There are exhibits on trains, planes, and automobiles, as well as one about Alice in Wonderland and a Fairytale Garden. Ride a restored carousel and explore everything from space to the rainforest at this interactive museum full of discovery and delight. When visiting Catalonia in Spain, it’s not a bad idea to check out the famous PortAventura Park which has five themed areas based on regions (Mediterrània, Far West, México, China, and Polynesia) as well as one themed around Sesame Street for younger guests. Ride the eight-inversion Dragon Khan roller coaster or the winged launch coaster Furius Baco, or take a 330-foot drop down the Hurakan Condor tower. You’ll find over 3,700 animals, coming from more than 650 species and subspecies, at San Diego Zoo, one of the world’s most famous zoos as well as one of the first to have open-air exhibits in which animals are put in more natural habitats rather than in cages. Located in Balboa Park, one of the best urban parks in America, it’s one of the few places in the world where you can actually see a giant panda, and the San Diego Zoo has a guided tour that will take you through most of the park, as well as an overhead lift giving you a bird’s eye view. Located just outside Philadelphia, Sesame Place just might be the very best amusement park in the state. 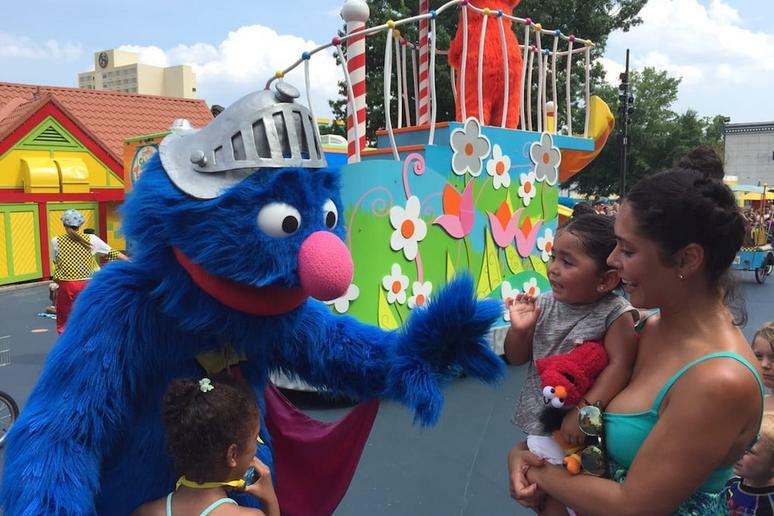 It’s a theme park based on the classic children’s television show Sesame Street, and although it’s aimed at younger children, the park has rides, performances, and water attractions the whole family can enjoy. Celebrating the power of play and imagination, The Strong uses play as a means to teach and help children understand American history and culture. Here you’ll find the National Toy Hall of Fame, an exhibit about comic book heroes, an indoor butterfly garden, and a center chronicling the history of video games. All together, it’s the largest collection of dolls, games, and toys in the world. 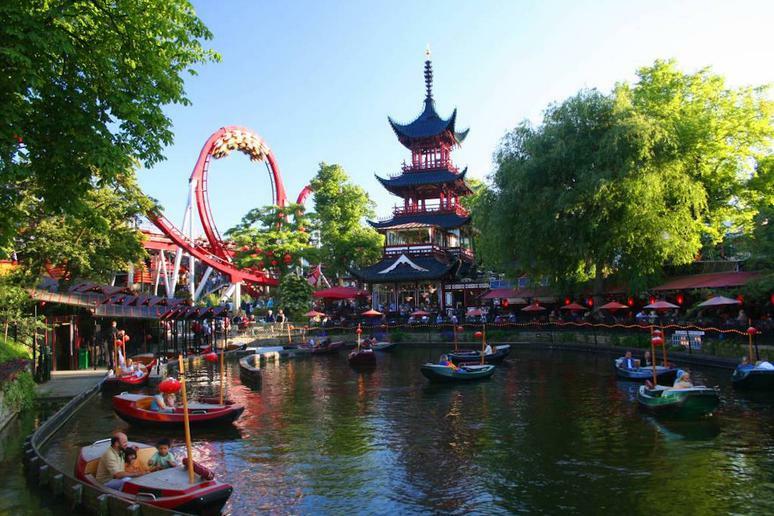 Copenhagen’s famed Tivoli Gardens is the second oldest amusement park in the world, having first opened its doors in 1843. A pleasure garden as well as an amusement park, it hosts carnivals and events among its many attractions, food vendors, and shows. It also becomes a jaw-dropping spectacle in the winter season, helping make Copenhagen one of the world’s best places to celebrate Christmas. Orlando may be home to the world’s largest Disney park, but that doesn’t mean you have to avoid it entirely if you’re trying to stay mouse-free. In fact, if you’re looking for a happy place that’s not Disney, Universal tops the list. Full of amazing attractions, Universal Studios Florida is made up of three components – Islands of Adventure, Volcano Bay, and CityWalk but it’s the first that you really can’t miss. From the Port of Entry, you can visit different themed islands such as Marvel Super Hero Island, Toon Lagoon, Skull Island, Jurassic Park, the Lost Continent, Suess Landing, and the fan-favorite Wizarding World of Harry Potter. The world’s favorite soda has its headquarters in Atlanta, and a tour of the World of Coca-Cola can provide sweet insight as well samples of different beverages. A museum chronicling the history of The Coca-Cola Company, the World of Coca-Cola is located just blocks away from where the original Coca-Cola formula was created and about a mile from the company’s global headquarters. 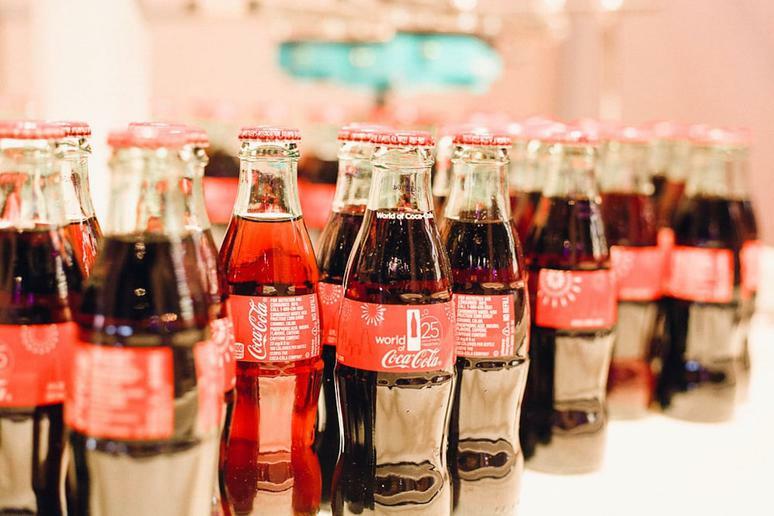 Taste 60 different flavors of soda from around the world and find out more about the secrecy of the Coca-Cola formula as well as visit its location inside a vault, one of the coolest places in the world you’re not allowed inside.